Do You Have a Plan for Transformation? We Do. The life of an ad agency is more complicated than ever. Competition is coming from all corners, including consulting firms. And now 77% of marketers say they would hire a consulting firm for agency work. In addition, the calls for transparency are getting louder and the whole agency business model is being turned upside down. Several brands have ended or scaled back their agency relationships and have brought their advertising and creative in-house. 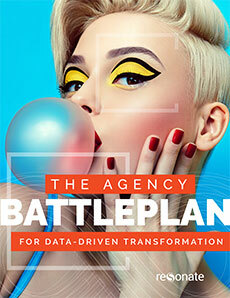 Download your copy of The Agency Battle Plan for Data-Driven Transformation and get inspired to wage your own Agency Uprising.